The return to school, the beginning of a new year with new experiences and associated emotions, can sometimes be experienced by a child as a stress. So, this time of the year can become the most challenging and the most important time for supporting your child’s health, development and particularly their immune strength. Each year in a child’s life is clearly marked and can be remembered by the end of the summer holidays and the return to school. There are many experiences, emotions and associations involved in this event for each child. Anticipation, excitement, anxiety, apprehension, new faces, new teachers, new learning, sometimes new surroundings, a new school. Different children will react and be affected by this experience in different ways. As children grow, develop, mature and experience new situations, we can be looking out for and supporting their growth on many dimensions. These dimensions and aspects of their being include their physical, emotional, mental/mind and spiritual well-being. Each one of these aspects will affect the others and they are all intimately connected. We have to constantly remember that infancy and childhood growth is a very delicate time. They are human beings “under construction.” In many ways they are working much harder than we are as adults. As adults we need to eat enough food each day to make enough energy to perform our daily tasks and responsibilities. Children require food and nutrients to go about their daily tasks, school, and functions, as well as grow bigger each day. This combination of bodily growth and functioning at the same time creates the critical need and increased importance for the building blocks of life, the “essential nutrients,” vitamins, minerals, fatty acids and amino acids. On a purely physical level, it is an infant’s and child’s food, nutrition and diet, that will be the major factor in determining the health, strength and integrity of their bodies, brains and immune system. The return to school, the beginning of a new year with new experiences and associated emotions, can sometimes be experienced by a child as a stress, and therefore make them more susceptible to what they may be exposed to in their environment. Along with these emotional stressors, we also experience the change of seasons with fall, turning into the winter season, when the cold’s and flu’s are most prevalent and circulating around the school and community. So, this time of the year can become the most challenging and the most important time for supporting your child’s health, development and particularly their immune strength. In this post, we will look at what are the most important and practical suggestions and supplements that you can implement and give to your child to support their health and immune vitality. The physical foundation and basis of every child’s health, growth and development is made by receiving the correct amount of all the established “essential nutrients,” on a daily basis. As noted previously, these “essential nutrients” are comprised of vitamins, minerals, fatty acids and amino acids. Within the fourteen essential vitamins, we have the primary antioxidants; Vitamin C, Vitamin E and Vitamin A. All of these help support immune function and protect our bodies from environmental pollutants by neutralizing toxins and helping our bodies detoxify and eliminate these chemicals, pesticides and metals safely. By protecting our bodies from the effects of these pollutants and toxins, the antioxidants help to reduce the burden and workload of the immune system, thereby allowing the immune system to be more effective and vital on other fronts. There are all the B Vitamins, B1, B2, B3, B5, B6, B12, which are all actively involved in helping our nervous system function correctly, learning, memory and managing the challenges and stresses that may be faced each day. Folic acid, which helps the body digest and assimilate proteins, is actively involved in the production of our red blood cells and DNA. There are twenty one minerals classified as essential. Of these we are always reminded of how important Calcium is for the childhood development of bones and teeth. However as with all the vitamins and minerals, none of these nutrients work alone. They are not lone rangers. They are all actively and intimately connected, supported and dependent upon each other to perform their function and to help the other nutrients perform their jobs. They are an orchestra of “essential nutrients.” By working together, they create the living symphony of a child growing, developing and learning with a strong fully functioning immune system providing their protection. From this perspective, we then understand that Calcium requires Magnesium, Zinc, and Vitamin D to effectively perform the function of supporting and constructing strong bones and teeth. Sodium and Potassium, two other major minerals, work together to help regulate and enhance the entry and exit of nutrients into every cell in the body, by affecting ph levels and cell wall permeability. Chromium is critically involved in regulating blood sugar and metabolism throughout the body. Zinc is another important mineral, and the primary mineral for supporting immune function and strength. Just as Vitamin C is the most effective vitamin for supporting and improving immune response, Zinc is the primary mineral for providing this same immune support. The two essential fatty acids found in the Omega-3 and Omega-6 oils are most commonly sourced and derived from fish and seeds. These nutrients are actively required and particularly involved in immune and brain function, growth and development. We find that sixty percent of the whole brain is made from fats and oils. 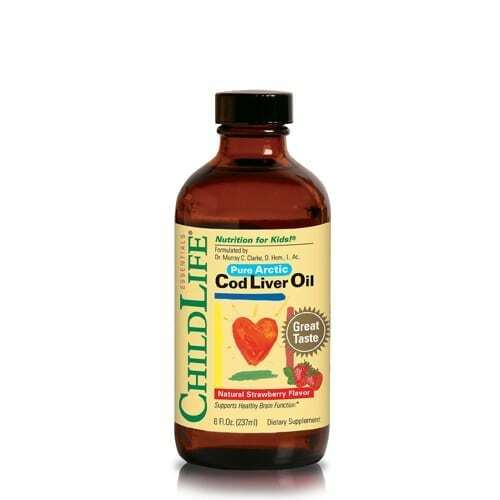 We now know that sixty percent of these fats and oils is one particular fatty acid, DHA (docosahexaenoic acid), which is found in the highest concentration within cod liver oil. Simply put, the brain requires Omega-3 oils and DHA to grow, to work properly and to develop to its full potential. 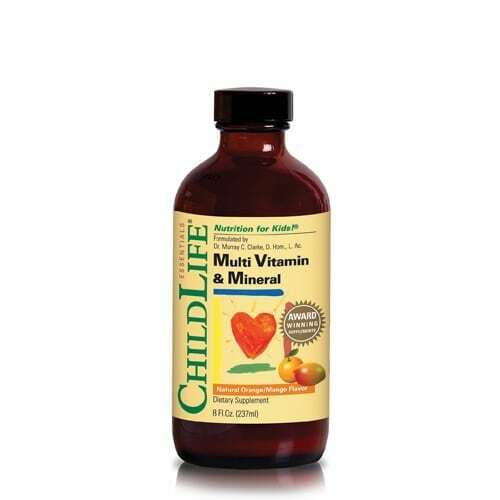 You can provide and ensure that your child receives all of the essential nutrients required to support healthy development and immune strength by giving your child these two supplements: ChildLife® Multi Vitamin & Mineral and ChildLife® Cod Liver Oil. These can both be given directly or mixed together in your child’s favorite drink. 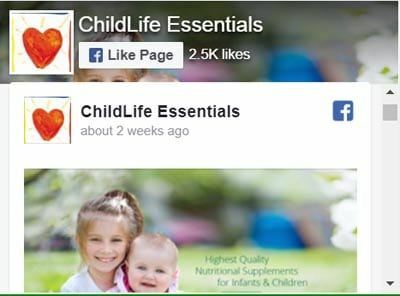 These two supplements create the foundation and basis of an effective nutritional supplementation program for your child. Together they provide the full spectrum of “essential” nutrients that every child can be supported and nourished with. Growth, development, brain function, immune strength and protection, these formulas help give and create the platform for these qualities. To help defend their bodies from the “back to school, change of season, cold and flu” routine, we look at how you can provide your child with the nutrients and formulas that will specifically help give them extra immune protection. Extra Vitamin C, supplemented on a daily basis for extra immune support, particularly at this time of year is recommended. Depending on the overall health or susceptibility of your child’s immune system, you can decide whether to give additional immune support or stay with the primary program of supplementing with ChildLife® Multi Vitamin Mineral, ChildLife® Cod Liver Oil, and additional ChildLife® Liquid Vitamin C.
If you think that your child could use extra immune support and strengthening, then consider adding ChildLife’s® Probiotics with Colostrum to the above program. 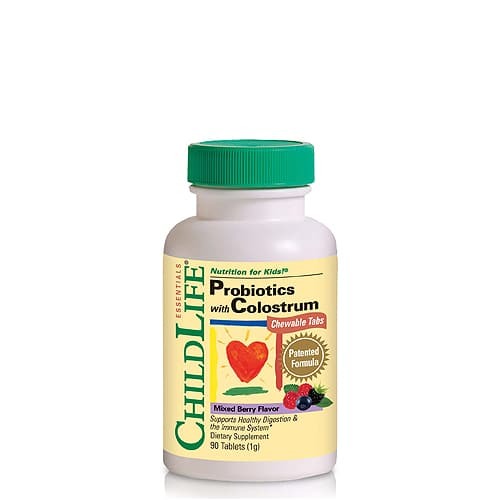 ChildLife’s® Probiotics with Colostrum formula combines the highest quality Colostrum with the bifido and acidophilus species of probiotics to provide a patented formula, proven to help enhance immune function and response. The back to school time of year gives everyone, children and parents, a chance, an opportunity to start and create new learning, new habits, new ways of being. For health and immune maintenance, protection and improvement, I have detailed the importance and benefits of all the “essential” nutrients. These nutrients have not been formally termed and named “essential” lightly. They have been named essential after many years of extensive research and understanding by America’s most prestigious scientific establishment, the National Academy of Sciences. Childhood is innately a time of growth, development and maturation. All of these nutrients play an intimate part in this process and time of life. Quite possibly, they play a more important part in this age and stage of life than at any other time, because so much growth is taking place. On a purely physical level these nutrients are the very foundation, the very building blocks that every cell in every child is being constructed from. 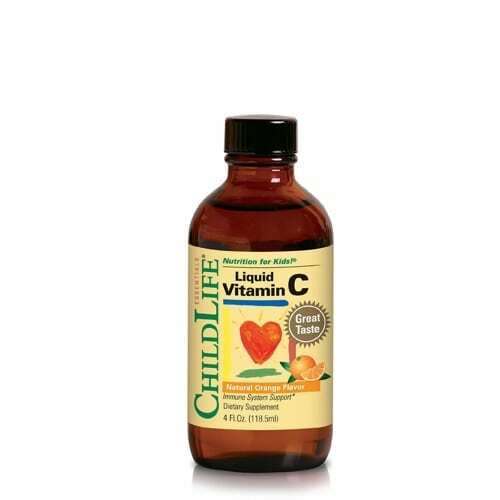 For supporting optimum growth, development and immune function, you can supplement your child’s diet with ChildLife® Multi Vitamin & Mineral, ChildLife® Cod Liver Oil and ChildLife® Liquid Vitamin C. These three formulas will help provide and establish the foundation of all the essential nutrients. 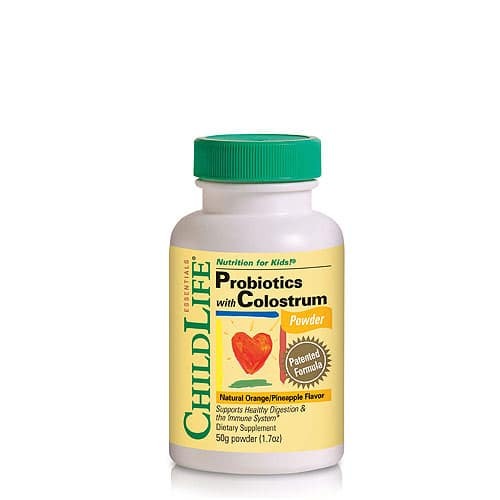 For extra immune protection and strengthening give ChildLife® Probiotics with Colostrum (Powder or Chewable) formula in addition to the above formulas. The suggestions, information and formulas presented here are the result of my twenty years of clinical experience, working with children of all ages and walks of life. When applied and given appropriately and regularly then these suggestions and products can bear fruit for you and your child as they have for others.